Pride in Craftsmanship since 1982. We are a family owned General Contracting business located in Pasadena, California. We specialize in the preservation of historic architecture and interiors, while providing our clients with 21st Century functionality. We look forward to working with you to make your house your home! We have been honored to participate in the Pasadena Showcase House, an all-volunteer organization. Pasadena Showcase House for the Arts (PSHA) is a non-profit California Corporation whose members donate their time and talents to produce the annual Pasadena Showcase House of Design. It is one of the oldest, largest and most successful house and garden tours in the nation. Loyalty Construction is a family owned business: Licensed, Insured, Compensated and Bonded. Over 20 years in business, uniquely positioned to meet short and long term Construction/Home Remodeling Service needs. Our Company is a leading provider of service for the entire Planning, Pre Construction and Construction process. Our reputation for delivering the highest level of service in the industry is constant and a critical element in our success. The experience if the construction process is just an important as the results. We create positive and memorable experience with lasting relationships because of our action are guided by our care values. Loyalty Construction successfully builds projects which meet the Qualification, Schedule, and Budget for our customers, we are a forward thinking company with a solid background of proven performance and experience. We provide free estimate, quality of work and customer satisfaction. We work hand in hand with Architects and Interior Designers to bring our clients dream to reality ! 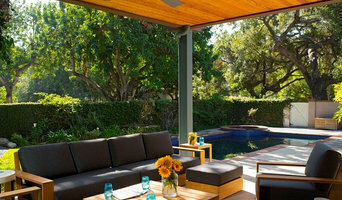 Sapir Construction is one of Southern California's leading full-service remodeling companies. Our firm consists of a team of skilled Builders & Designer, with services ranging from New Home Construction to Home Remodeling Services. We understand that no two projects are alike and that each project is tailored to the unique needs of each client. Sapir construction is unique in its capabilities, as we have combined the knowledge of both design and construction. We are experienced in giving clients the quality design elements they search for and the efficient construction they deserve. We understand that the blueprint of a project is just as important as the project itself. That is why we develop accurate pre-construction budgets, as well as efficient and cost-saving construction methods to help assure each project is completed in a timely manner and stays within budget. We perform all tasks with our own team of skilled craftsmen and effectively manage our projects during construction. We are contractors, designers, and realtors with over 25 years of experience in the construction field specializing in kitchens, bathrooms, additions, new construction and all around general remodeling. Our showrooms are located in LA and Orange County and open to all our customers. We specialize in kitchens, bathrooms, flooring, painting and all other aspects of construction with showrooms and in house designers. We were proud to receive the 2015 service award and gold badge Angie's list 5 star home advisor A rated BBB. We love construction and to make our customers happy. Integrity, craftsmanship and excellent customer service has been always our motto. With over a decade of incredible projects and happy customers all over the LA area we sure to make your dream home a reality! Let’s Build It, Inc. is a family-run business that provides quality, affordable architectural design and construction services. From simple repairs to major remolding projects to new construction – we handle all aspects of home improvement for both residential houses and condominiums. With over 10 years of experience, we understand the intricacies of modern building requirements. We use the best materials and resources; our technicians and workmen are certified and accredited. Contact us today to let us build your dream. Fidelity general contractors Inc. Is a design-oriented, general contracting firm specializing in residential projects in the Los Angeles county and the surrounding area. We create spaces devoted to a modern lifestyle while being mindful of tradition. Our passion for architecture, eagerness to listen, and attention to detail are evident on our designs, as well as the way in which we interact with our clients. Room Additions $50,000 to $750,000. Whole Home Renovations $80,000 to $250,000. 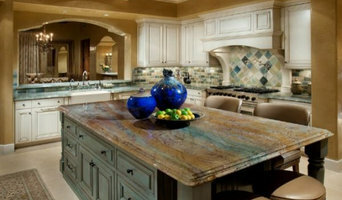 Kitchen Remodels $30,000 to $175,000. Bathrooms $15,000 to $70,000. Design & Architectural Plans $4,500 to $80,000. We can address any of these projects while considering and maximizing your budget including drafting and design, space planning, framing work, roofing, electrical, plumbing, cabinetry, tiling, stone, counter top, windows and doors. Cost may vary, contact us for a consultation. Whether it is a kitchen remodel, bathroom remodel, small/ large addition, new home, we bring the same passion for craftsmanship to every project in order to realize the design goals. A diversified general contractor working with our clients during every stage of their project. From the beginning design phases, into the building stages, all the way through any future maintenance. The bathroom is one of the most personal areas of the home and it is the most commonly remodeled areas as well. AAA Bathroom Remodeling is professional bathroom remodeling company in Los Angeles. We offer a wide range of services that are specifically designed to meet your bathroom remodeling needs. We offer bathroom remodeling services in Los Angeles and the surrounding neighborhoods from our offices at 324 S beverly dr #459 beverly hills ca 90212. So, get in touch with us and remodel your bathroom just like you have dreamed of. We are one of the few professional bathroom remodeling contractors in Los Angeles who are always up to date with the latest trends and technology in the world of bathroom remodeling. This ensures that you get modern bathroom for your home. We would created detailed plans and offer you different options to choose from. We would advice you so that you make the right decision. You can also talk about your choices and we would get it done. After all it's your bathroom! So what are you waiting for? Get in touch with us at aaabathroomremodeling.com or give us a call on (424) 744-3799 today! We would help you transform your bathroom into something beautiful.